Business Insider makes the argument in a series this week that American suburbs as we know them are dying. Here & Now's Jeremy Hobson speaks with the project's editor, Ashley Lutz (@AshleyLutz). "So the suburbs as we know them are dying. People still live in suburbs, and people who live in suburbs still outnumber of people in cities about seven to one. But if you look at construction data and housing data, you're going to see some major changes. So construction of single family homes has fallen by about one-third between 2005 and 2015, and construction of apartments and condos is at the highest level in 40 years." "We're seeing the landscape of the suburbs change dramatically, so a lot of people who would have normally lived in single family homes are instead choosing to move into apartments and condos and that's in the suburbs. And you're also seeing a really big influx of people moving into the cities. So those are the two factors that are kind of changing the landscape of how Americans live." "So malls used to be a big draw in the suburbs, so people would pay a premium to live near the mall to live near what was essentially at the time the city center. And now we're seeing anchor stores like Macy's, Sears and J.C. Penney close hundreds of stores. That's putting the future of so many malls in jeopardy. It's estimated that nearly a quarter of the malls in the U.S. are in danger of shutting down right now. And so that spells a lot of trouble for these suburban communities, because malls are a big employer." "Casual dining chains like Ruby Tuesday, Fridays, Applebee's are closing hundreds of locations as well. A lot of people are choosing to make their own food at home or they want to seek out more mom-and-pop type establishments or they just want to go get fast food. But people just aren't willing to pay a premium for the traditional suburban experience anymore." "You're seeing suburbs start to look a lot more like cities, where people are kind of valuing walkability, they're valuing sustainability, and they're valuing living within their means more than ever before." "We're seeing a really dynamic change and suburbs and in the way they live. So the line is completely blurring between the cities and the suburbs. And you're seeing suburbs start to look a lot more like cities, where people are kind of valuing walkability, they're valuing sustainability, and they're valuing living within their means more than ever before. And so the suburbs that I grew up in, and then a lot of my friends grew up in, are disappearing. We're seeing totally different communities springing up across the country." "So this is the suburbs as we know them and so, yes, people are still moving to suburbs. People are still moving to a community that is technically defined as a suburb. But, what we're seeing is the landscape of these suburbs changing dramatically from what it was 20 years ago, from what it was in the '90s. 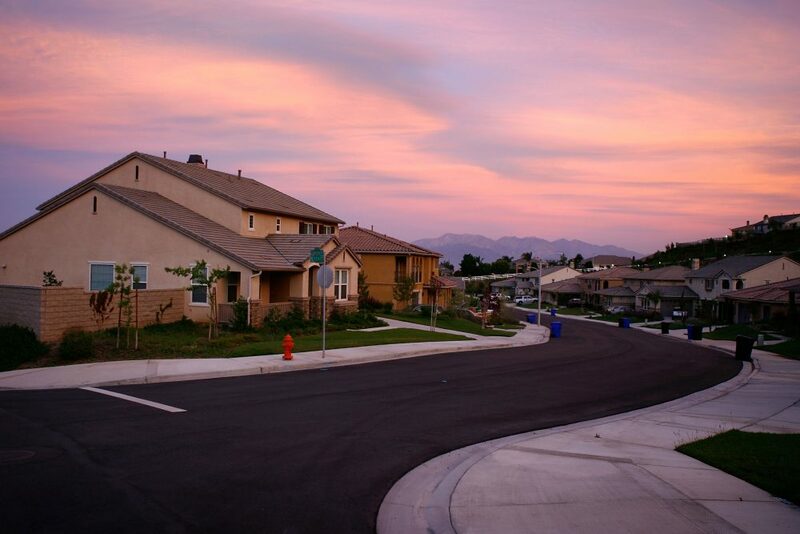 The financial crisis really changed people's attitudes, and urban planners across America are working to remake the suburbs to fit modern needs... The line is completely blurring between suburbs and the cities. You know, a lot of people still thought that the oldest part of the city is the urban area. And what you're seeing is suburbs are turning more into looking like that urban area. So urban planners, such as in the city of New Rochelle in New York, are completely redesigning the landscape so that people can ride their bikes to different places. This is just a total shift in values." This segment aired on March 6, 2017.